Slavia Prague, current leader of the Czech Republic championship Receives at the Sinobo stadium in Prague, the mighty Chelsea in game to count for the first hand of the quarterfinals of the 2nd most important event at the club level. Slavia in Group C together with the Russians of Zenit, Copenhagen and Bordeaux were in Group 2 with a total of 10 points, with 3 wins, 1 draw and 2 defeats. In the 16th, he overtook Genk’s Belgians and in the previous round managed to beat the Spaniards in a spectacular tie where they had 2 draws with 2 balls in both hands, and the Czechs won after prolonging 4-3. The team crosses an excellent moment, comes from 2 consecutive victories and does not lose 10 meetings. Playing before his fans, he has not known the taste of defeat for 18 matches. yielding only a draw in the last round, when he already had the guaranteed passage for the next phase of this competition. In the 16th, there was also little resistance from the Swedes of Malmo, with 2 wins with a total of 5-1 in the 2-pointer and the round of 16, fitting in luck with the Ukrainians of Din Kiev, a new ride with more 2 wins and an aggregate of 8-0. 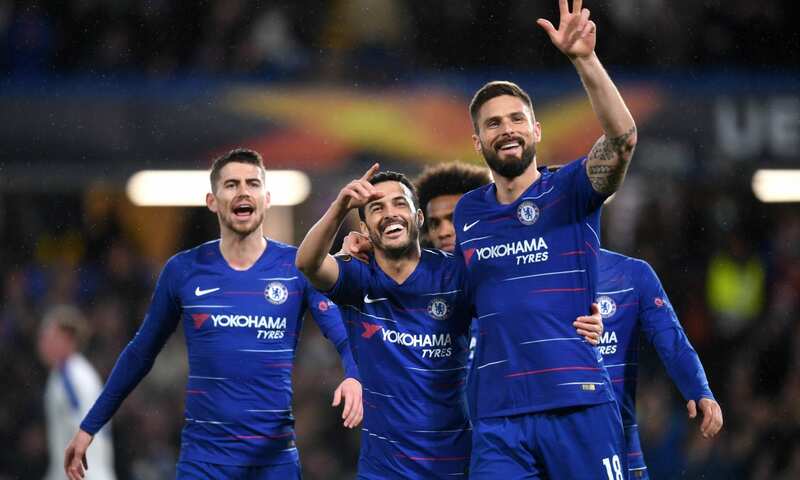 Sarri’s team comes from 3 consecutive wins for the Premier League, allowing the blues to rise to 3rd place in the championship. Playing out of doors, having suffered 4 consecutive defeats, Chelsea improved their performance, having won 4 of their last 5 trips. 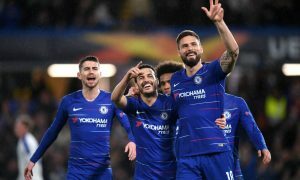 In the 10 matches already held for this Europa League, Chelsea have 9 wins and have overcome their opponents with relative ease and show that they are in this race with the ambition to win again. That said, my bet is against an away win, believing that the best quality of the squad of Chelsea, will be able to overcome with more or less difficulty this good Czech team.